I’m hoping to forestall Ryan’s Pete Rose moment as long as possible. A few weeks ago, and NHL player was arrested and charged with domestic violence. I debated whether to tell Ryan about it because I didn’t know how he would react. But ultimately I decided it was better to tell him and have a discussion about it than have him read the headline himself with no context to place it. I was pretty sure I knew where these questions were coming from but I wanted to make sure I was on the right track. I like to think I know my son’s thought processes pretty well, but still, making assumptions can be dangerous. Sure enough, Ryan confirmed it before I had a chance to question him. He brought up Aaron Hernandez. He brought up Jerry Sandusky. He asked about the bullying accusations involving Richie Incognito of the Miami Dolphins. He continued to ask if they, and others who had already been in trouble, would commit more bad acts. He asked over and over about other athletes, just making sure they weren’t in trouble with the law, too. Ryan likes sports, and he admires professional athletes. It troubles him that some players he knows about have been accused of very serious crimes. That’s all a pretty standard thought process for someone his age. But here’s where it runs headlong into his unique brain wiring. Person A is a professional athlete and committed a crime. Person B is a professional athlete. Will Person B commit a crime? And so we seek to offer that reassurance — that the vast majority of the players he watches each night do not get in trouble and there is nothing wrong with continuing to watch and support them. Ryan’s growing recognition of current events and ability to place them in the context of his own life is an area where we’ve seen a lot of growth over the last year. It’s a welcome development. We just have to help him navigate through processing these events so he doesn’t assume that anything that happened once will happen over and over. I remember being just a few years older than Ryan is now the first time I learned one of my athletic heroes was in real trouble. 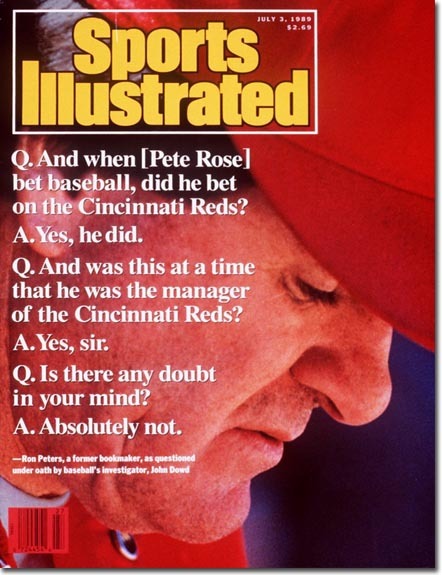 It was Pete Rose, and his crimes were against his sport, not against other people. Still, it was crushing, and it forever tainted my innocence about being a sports fan. Ryan hasn’t had that moment yet, and I’d like to forestall it as long as possible.